VFD series utilizes coacervation technology, coalescing technology, separating technology and refined purification technology. 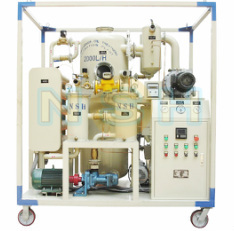 Comparing to Model VF series, it add ROOTS vacuum system, second stage of separating system to improve the effect of purification. To remove free, soluble water, carbon, free and dissolved gases and particulate matters from insulating oil effectively and rapidly.